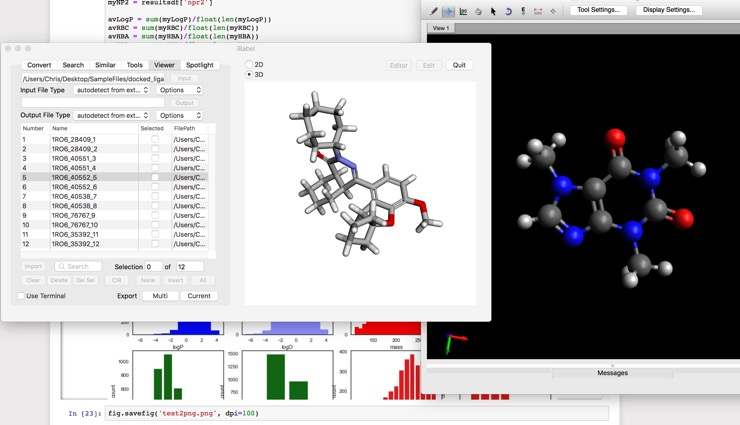 A listing of open-source cheminformatics toolkits and Open Source Python Data Science Libraries. If you have any other suggestions feel free to let me know. Whilst this website is aimed at providing a resource for Mac using chemists regular readers will know that much of the content is platform agnostic and includes much code/software that will be of interest to all scientists. I've also heard about a couple of other smaller software developers who are finding life very tough and it started me thinking about the status of scientific software, after exchanging emails with a number of people in the industry (many thanks for their input) I thought I'd collect a few thoughts on my blog. You can read it here https://www.macinchem.org/reviews/scientificsoftware/software.php.